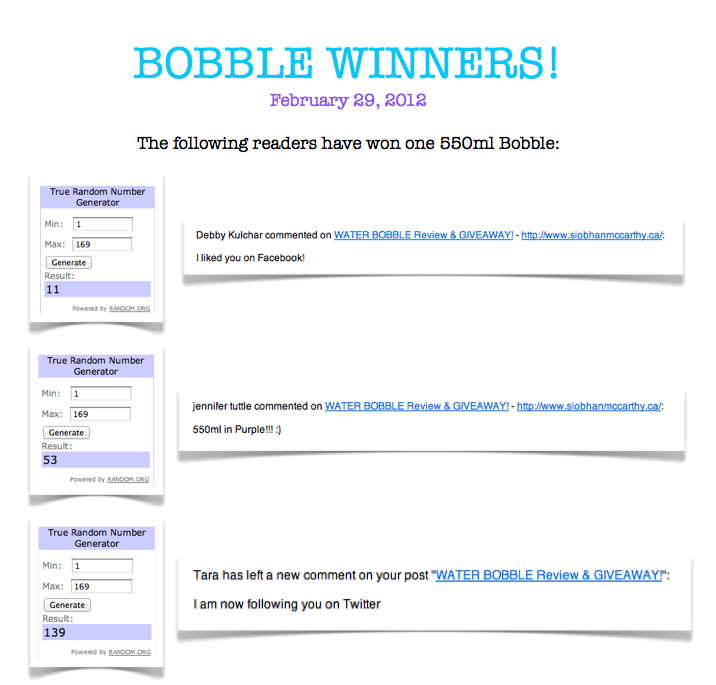 Today is the day that the BOBBLE WINNERS are revealed! CONGRATS FRIENDS! You are going to LOVE your new Bobble!! 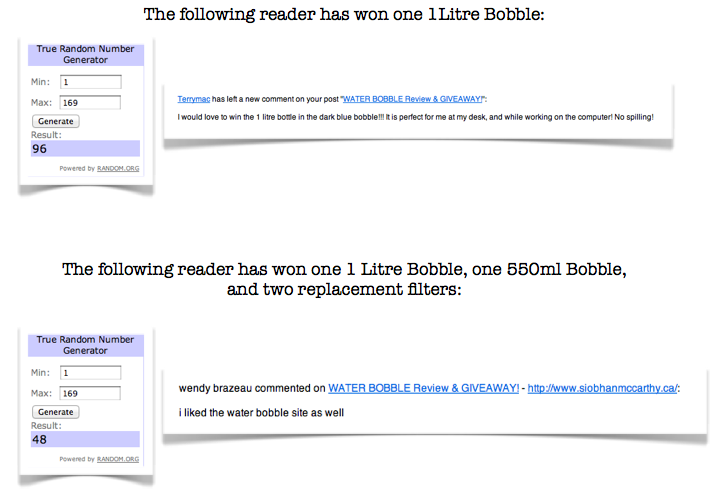 Please send me your mailing address and telephone number to siobhan.mccarthy01 [at] gmail [dot] com so that I can forward it over to Katharin at Bobble!